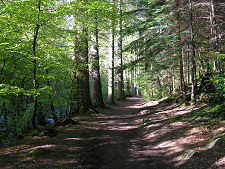 Travellers along the main A9 road en route from Perth towards Inverness will probably notice in the vicinity of Dunkeld and Birnam a brown tourist sign pointing to The Hermitage. What visitors find is a network of waymarked paths, most of which lie on the north side of the valley of the fast flowing River Braan, in an area that extends for about three quarters of a mile back from the car parks, complete with a series of features which add further interest to an already fascinating place. Although the Hermitage looks, at first sight, like it might have developed naturally, it is actually a planned landscape. In the mid 1700s the main residence of the Dukes of Atholl was, and remains, at Blair Castle, some 17 miles north west of the Hermitage. But the family also maintained a winter retreat at Dunkeld House, which stood on the north bank of the River Tay almost opposite the steep sided valley of the River Braan. The gardens of Dunkeld House were initially fairly restrained, but in the 1730s James, 2nd Duke of Argyll, significantly extended the landscaping around the house and introduced a series of new features including terraces and a Chinese temple. 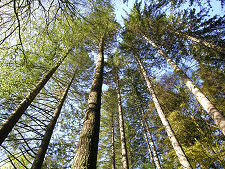 He also planted large numbers of trees. 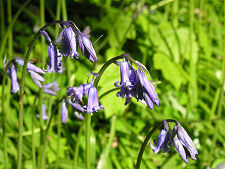 The family later extended their horizons beyond the River Tay to the valley of the River Braan. 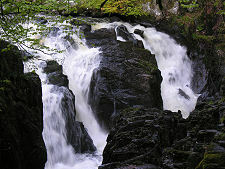 In the 1750s John Murray of Strowan, the nephew and heir of the 2nd Duke (who would go on to become the 3rd Duke of Atholl in 1764) set out to establish public pleasure grounds along the floor of the valley, designed to make the most of natural features such as the waterfalls on the River Braan. Murray's major contribution was the planting of large numbers of trees, and the building of what he called the Hermitage in 1757. 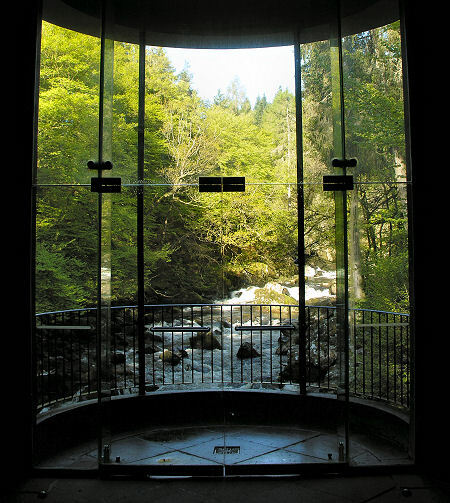 This was a stone viewing pavilion which projected out over the edge of the gorge giving visitors a spectacular view of the most turbulent section of the River Braan, the Black Linn Falls. 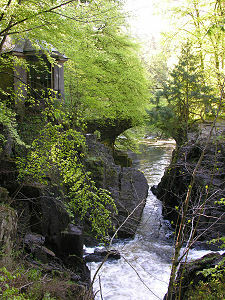 The Hermitage quickly became a "must see" on the itinerary of early tourists to Scotland, and was visited by the poet William Wordsworth and his sister Dorothy, the painter John Turner, and the composer Felix Mendelssohn. In the 1760s the poet James Macpherson captured the imagination of an entire generation, in Scotland and beyond, when he published a series of "discovered" ancient poems said to have been originally written in Gaelic by Ossian, son of Fingal. 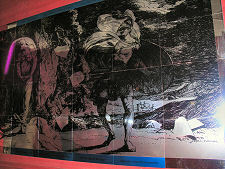 The elements of the Hermitage were quickly rebranded to exploit the mythology of Ossian. 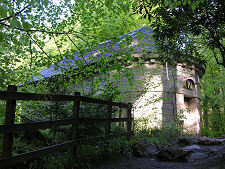 The Hermitage itself became known as Ossian's Hall. 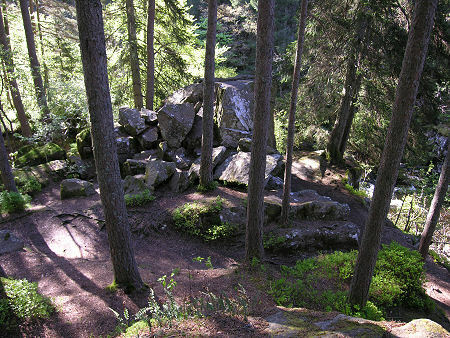 A group of angular stones above a steep section of the valley became known as Ossian's Seat. 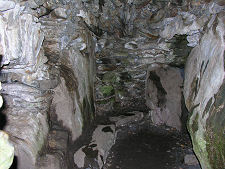 And in 1785 an artificial cave was added towards the far end of the walk through the valley, which, inevitably, became known as Ossian's Cave. 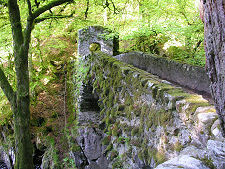 The dramatic stone footbridge over the River Braan near Ossian's Hall and between the Black Linn Falls and the Black Linn Pool avoided the trend, and was called Hermitage Bridge. There are two car parks at the Hermitage. From the far end of the lower one, two parallel paths head out along the line of the river, which is to your left. 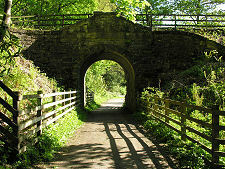 After passing under the main railway line you quickly find yourself heading deep into mature woodland. The paths continue to the side of the Black Linn Pool. 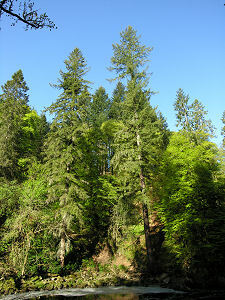 On the far side of the pool is the Hermitage Douglas, a Douglas Fir which in 2009 was measured as standing 61.3m or 201.1ft tall, which made it Scotland's (and the UK's) fourth tallest tree. Pressing on, you come to the Hermitage Bridge, which gives excellent views of the turbulent river below, and then to Ossian's Hall. 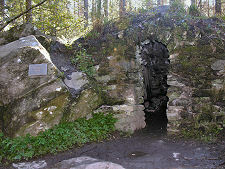 The original building was blown up by as a protest against tolls on the Dunkeld Bridge in 1869. The replacement you see today dates back to 1951 and is rather simpler than the original building. 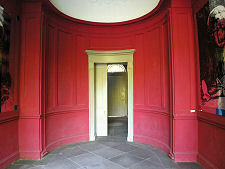 The interior nonetheless retains classical themes and is decorated in a striking red with mirrored panels. The hall's main attraction remains the view from the balcony beyond the glass doors at its far end, over the spectacular Black Linn Falls.